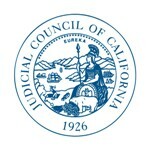 SAN FRANCISCO—Five members of the Judicial Council of California announced today that they are disseminating for comment a “preliminary draft of a proposed rule” that is designed to greatly increase transparency within the judicial branch. The five chairs of the council’s internal committees developed the draft after meeting last month with the chairs and staff members of the council’s 30 advisory committees. The five members of the council who developed the preliminary draft include Justice Miller, Justice Harry E. Hull, Jr., chair of the Rules and Projects Committee; Judge Mary Ann O’Malley, chair of the Litigation Management Committee; Judge Ken K. So, chair of the Policy Coordination and Liaison Committee; and Judge James E. Herman, chair of the Technology Committee. One or more of the chairs will be meeting with key stakeholders in the next few weeks to get their feedback on what the rule should incorporate. In the meantime, comments can be submitted to: openmeetings@jud.ca.gov.